Move the seed slider to select a new problem. Check the check boxes to see the answer. You will need to find basic statistics on test 2 and on the final exam. 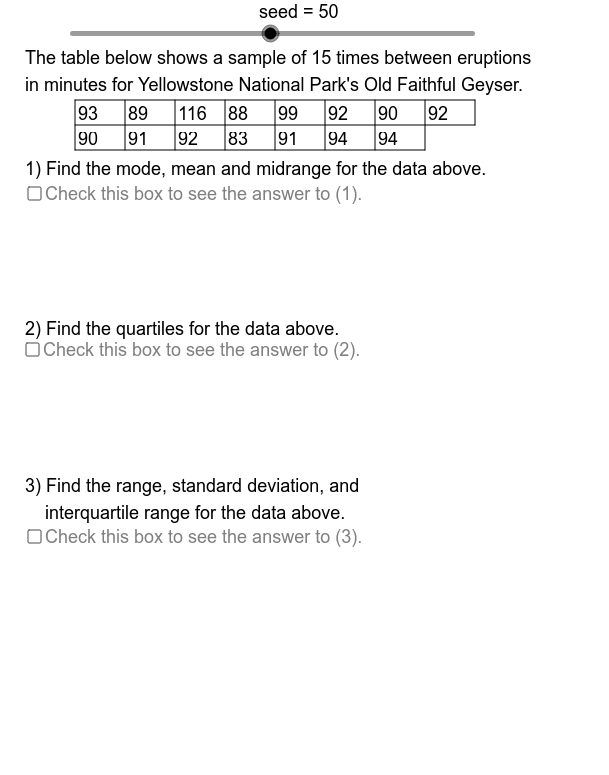 These problems are based on data from problems #29, #30, #32, #33, #34 pages 65-66 in Navidi & Monk, "Elementary Statistics", 2nd edition, McGraw-Hill Education 2014. This applet was uploaded 7/14/2012 and updated 9/6/2013, 9/7/2013, 6/2/2014, and 8/13/2015.